Ok, so we need some sort of 'platform' or list of focused objectives. I'll try to put some planks and splinters in the following list. Please email me, call or otherwise contact me to contribute. I sure as heck can't do this by myself! I hope to attract others to help in this effort. I welcome 'reprints' or re-posts of articles from others who have the rights to do so. Authors and writers who wish to cross-post their articles and comments from other sites here are more than welcome. We will try to set up a list of other supportive web site links in the near future. To start, here are some general 'hot buttons that come to mind. Eventually, I would like to flesh each out into a separate topical area/page for more formulation and discussion. 5. You cannot poison a sick person well! 6. When half of the people get the idea that they do not have to work because the other half is going to take care of them, and when the other half gets the idea that it does no good to work because somebody else is going to get what they work for, that is the beginning of the end of any nation. 7. The USA cannot afford to care for and feed the Planet. We cannot survive with open borders and to help others, we MUST first help ourselves and our Citizens. Only by example can we inspire others to rise up against tyranny and fight for THEIR OWN Freedom and Liberty. 8. The USA cannot be the police force for the Planet. For too long Countries have just let the USA do it without compensation or even a Thank You! Well, enough, maybe it is time for the rest of the Planet to start taking care of itself! 9. While we cannot afford to police and care for the Planet by ourselves, we can and MUST be capable and intent on defending ourselves against ALL who would strike or attempt to overcome the USA. We must do this with overwhelming force and strength and let ALL know that we WILL protect our Citizens where ever they are; we will NOT abandon out Citizens or our Soldiers. We will defend our Country and Citizens with overwhelming force whenever threatened and if necessary those of our Allies. Food and Nutritional labeling; especially genetically modified organisms (GMO) products. - Labeling all food products with active hormonal ingredients in the source product or as an additive. Removing Farm subsidies for animal feed, GMO crops and means testing to restrict subsidies to mega agribusiness companies. Work to remove regulations controlling the insurance industry to offer incentives for premium reduction based on healthy lifestyle, overall/general health and wellbeing. Include proven holistic and non-allopathic therapies that provide drug free symptom relieve, curative therapies and natural/herbal prescriptive-strength plant based recipes. Provide a means to access drugs that are in final testing phases (that could be years in length) by individuals willing to accept the risk, but desire to try as yet 'unproven' drug therapies under a no-fault umbrella; allow for insurance company coverages to assist in access. Replace/revamp the current Journal of American Medical Association (JAMA) indexing process to include ALL peer reviewed case studies, especially those involved with nutritional, high-dose vitamin and other proven curative therapies. Reverse/prevent laws that restrict Health and Wellness Medical Practitioners to 'generally accepted' remedies and cures; especially when there are promising/proven alternative therapies available. Restrict all members of any agency who have relationships, or promised relationships to those companies they are supposed to regulate/inspect/review (especially the FDA, EPA and DHS). - Restrict employment or any other form of compensation/donation/contribution to individuals or organizations to which individual members may belong or have belonged to in the past or potentially may in the future. Demand truly independent review of all drug testing and NOT rely on manufacturers 'word for it'. Promoting Nutritional Health & Wellness through proper Whole Foods nutrition. - School lunch programs - eliminating junk food, processed food and other unhealthy consumables. 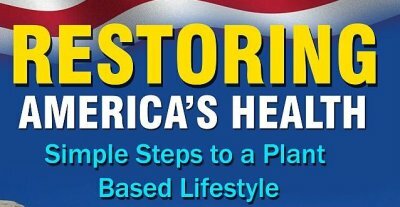 - Nursing Homes - eliminating junk food, processed food and other unhealthy consumables. Expanding regulation (yes expanding!) over feedlot, farm and other 'run-off' that has potential to contaminate our rivers, streams and oceans! If you wish to contribute additional or revise these 'planks' please Click the 'Contact' Link at the bottom of each page on this site.